Real stories from real pilots. 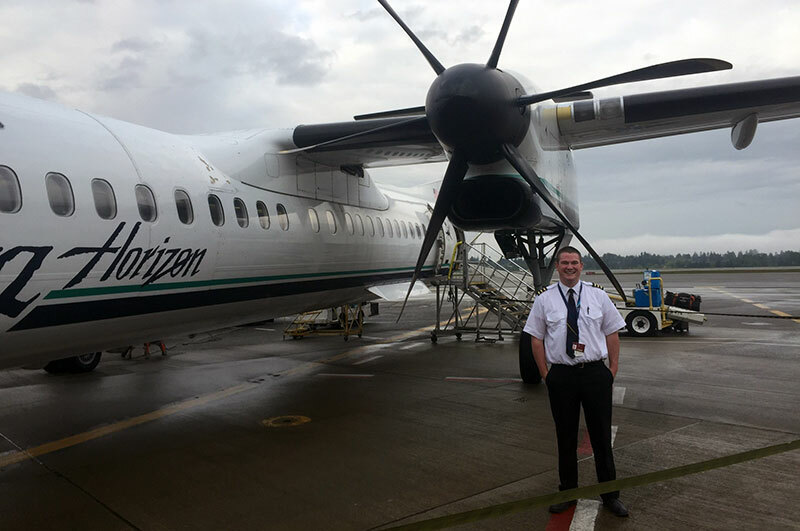 Whether it's the West Coast lifestyle and community, or our technology and training, our pilots share their stories of why they enjoy flying for Horizon Air. Flying is in his blood. Jacob Williams was born to fly. His father owned and ran a small air taxi operation in Alaska, allowing him to grow up around airplanes. Jacob first flew solo at age 16, got his private pilot’s license at 17, and his commercial pilot’s license on his 18th birthday. At 18, he was hired on to fly for a local air taxi based out of Anchorage. Now, the Anchorage-based pilot is flying for Horizon and loving it. The Q400 has been a dream aircraft for Jacob – fun, fast, comfortable and he says it makes you a better pilot because "it’s an old school plane with an advanced cockpit." Plus, Jacob says the Horizon routes allow him to fly in different conditions into a wide variety of airports. “It’s such a capable turboprop, it can get into places others can't,” he says. Jacob says his favorite routes are Reno since it’s a fun challenge, while Victoria gets him outside of U.S. airspace, and Deadhorse is up above the Arctic Circle and they give him free soup when he lands. It's the flying, fishing, and future. 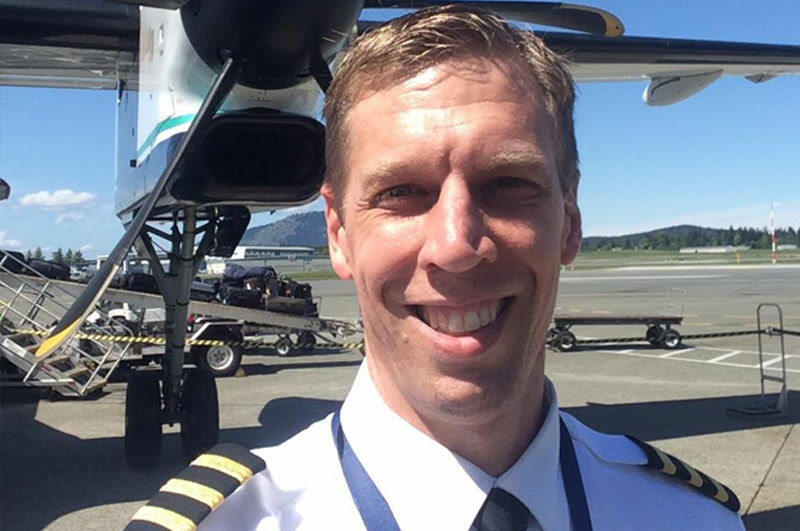 Will Greenwood loves flying our Q400s. The Medford-based pilot recently joined Horizon and says it's one of the reasons he was interested in the job. "It's a fun airplane to fly—still pilot involved so you actually get to fly the plane a lot" he says of our big turboprops. 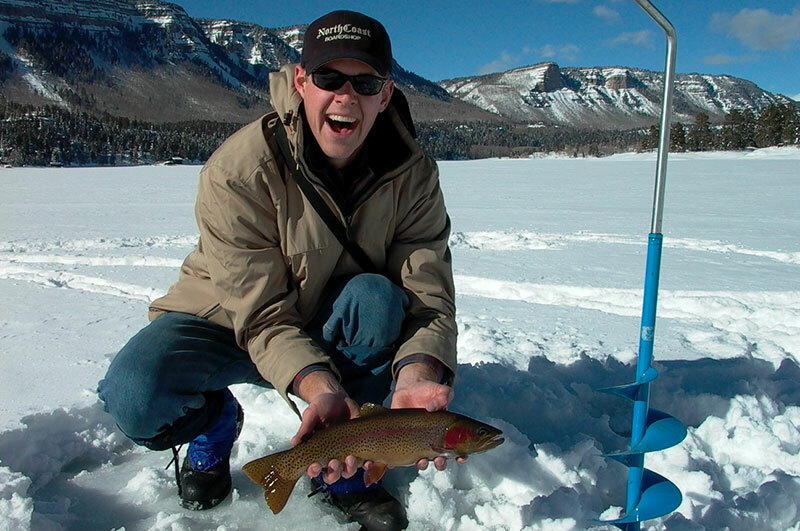 Will's love of the outdoors was another draw to working at Horizon. In particular, he can indulge in his love of fishing with the locations he flies to. "There are so many great rivers, and sometimes I can even walk to them during layovers,' he says. As for Horizon's training in getting him certified for the Q400, Will says it was fast and furious but it definitely got him prepared. "The plane has some pretty amazing capabilities and we get to do a lot of things other people don't get to do," he says. When asked about his Horizon career, Will says he just wants to keep enjoying aviation and so far he is. While there are great opportunities with the guaranteed interviews at Alaska Airlines, Will says "if the flying stays enjoyable I could even see myself retiring at Horizon." When the challenge is the reward. Erik is a former Air Force pilot who likes the challenge of flying into some of our smaller airports in tough conditions. "As nerve wracking as an airport like Sun Valley is, it's also neat because you get great experience and it makes you a better pilot," he says. And Erik feels confident he can tackle those challenges after an intensive training program he says is as good as what he received in the Air Force. And that's just the start if you're looking for a career as a pilot. Erik believes that flying for Horizon will "make me a better pilot, quickly." He says "far and away, Horizon IS the best training." Erik also is excited about flying our Q400s. "Pilots love it because it's difficult, but fun, to fly since the main controls are reactive based on your inputs," he says. But Erik says the people at Horizon are the best reason to work at Horizon. "It's very demanding here but it's a great place," he says. The father of two is also ready to use his new travel privileges—he's taking his wife and kids down to Costa Rica this summer for a well-deserved vacation.